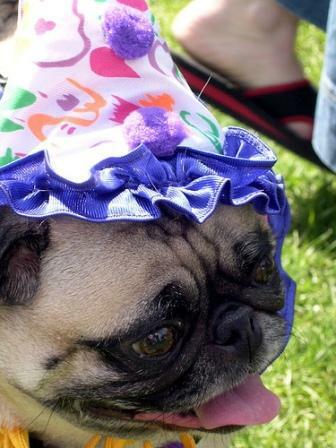 Dog Party Themes are a terrific way to get you or your kids really excited about the party. You can choose whatever party theme excites you and if you have kids other then the four legged variety they will love helping to pick out a theme. Let’s face it your dog probably won’t care much about the theme of the party. Your pooch is gonna be much more excited about the food, friends and activities. If you have your children pick the theme they are going to feel a part of the planning process and get really excited about the party, also kid based themes can really help out with the ease of getting things ready. I am sure you have seen the birthday party packages at your local discount stores these packages include everything from invitations to party hats, balloons, candles etc.. Usually you can purchase these all in one birthday packages at a very reasonable cost. I have found a terrific reasonably priced resource for everything dog party. Click here to visit K9Cakery.com they have everything from dog cake mixes, dog decorations to all in one dog packages. However if you choose to not purchase one of these all in one packages you and your kids can have a great time crafting your own homemade Dog theme party supplies., invitations and making up fun gift bags. Some of the best themes are ones that can easily fit with a costume party. lets face it dogs dressed up in cute hats, Dog Clothes and costumes are truly a vision and I dare you not to smile.